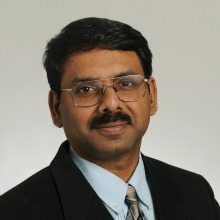 George Mason University professor and STEM advocate Padmanabhan “Padhu” Seshaiyer has been recognized for his outstanding contribution to scientific excellence and social impact by the Vrije Universiteit Brussel. Past recipients of the prestigious honor include pioneering scientists and visionaries such as renowned oceanographer Jacques-Yves Cousteau, South African President Nelson Mandela, violin great Baron Yehudi Menuhin, among many others. Seshaiyeris is a tenured professor of mathematical sciences at George Mason University in Fairfax, Virginia, and serves as director of the STEM Accelerator Program in the College of Science. Additionally, he’s the director of the Center for Outreach in Mathematics Professional Learning and Educational Technology. In 2016, the STEM Accelerator Program received the 2016 Programs that Work award for the second time, from former Virginia Gov. Terry McAuliffe. Seshaiyer’s previous awards include the President’s Excellence Award in Teaching, the 2013 faculty mentoring excellence award and the 2014 GMU Alumni Faculty of the Year award. He has given several TEDx talks and serves on prominent local and national organizations including the National Math Alliance, VA-STEM learning network, the Virginia Mathematics and Science Coalition, the LEGO Education Advisory Panel and the Northern Virginia MATHCOUNTS board. WashingtonExec is the annual K-12 STEM Symposium on March 30, 2019. The event is free and open to the public, but attendees are asked to register in advance.